Who Is Phil The Duck? 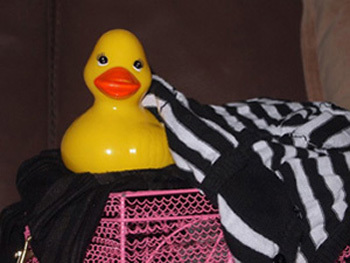 Phil The Duck is part of my bizarre imagination. He is my avatar in a twisted sort of way. Sometimes taking a photo in your favorite hangout place just isn't that interesting to those other people out there who are not familiar with this place or person and may not find it as compelling. Well . . . I present Phil The Duck. He's yellow, he's plastic, he's . . . well, different. Suddenly, the scene doesn't seem that boring. Maybe a little "David Lynch" meets "Oliver Stone", but not boring. I do get strange looks from time to time. I even get people asking me if I would like them to take a picture of me "and my duck". I first rolled Phil out on Facebook to see how people would react. With such a positive response from friends, family and strangers, I thought it would be appropriate to introduce Phil to my "Closed For the Season" spectators. Please let me know your thoughts and ideas. Your feedback would be very helpful. Want to track Phil? Click HERE to see his whereabouts.